In today's post I am going to list 10 useful effective local SEO tools along with some alternative tools, that you can use to ensure you achieve success in your local SEO efforts. From on-page and off-page SEO (involving local keywords), Google My Business, Google+ Local, other local citations to online reviews, we have entailed all of these important local SEO ranking factors in our post How To Boost Your Local SEO. What you need now is a little assistance to improve your local SEO efforts with the help of local SEO tools. 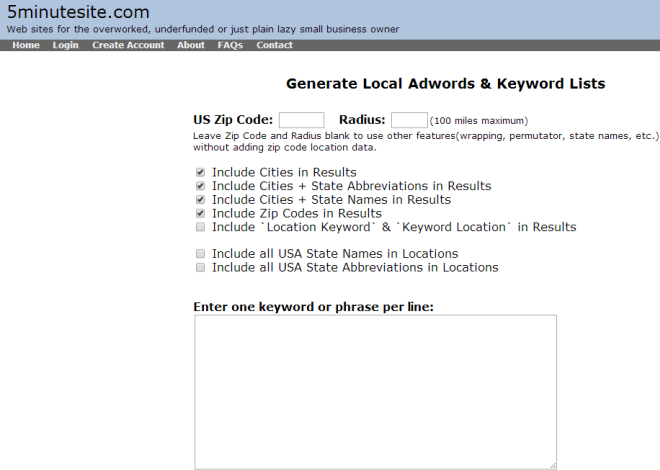 If you have just started with keyword research for your local site or if you want to have variations of your local keywords for your blog, this is a great local keyword generator tool. Using permutations and combinations of your target keywords along with your location has never been easier, thanks to this simple yet effective tool. Provide your zip code, along with your target keywords and the maximum radius (in miles) that you service. You can then run the keywords returned through the AdWords Keyword planner tool to find out which ones have associated keyword volumes. 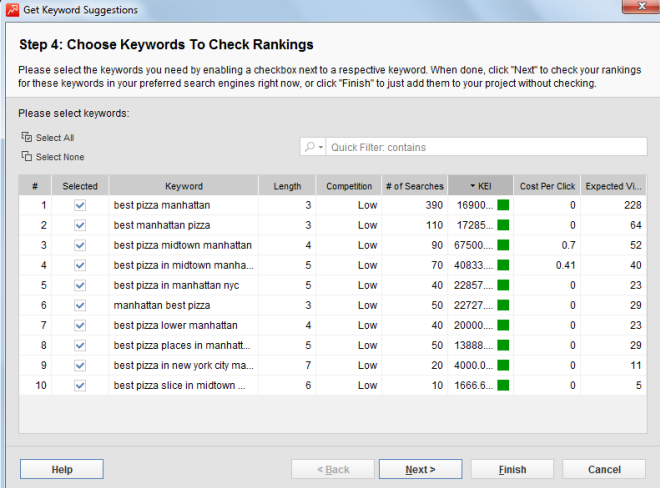 Note: This tool can only be used to optimize for US based local searches. 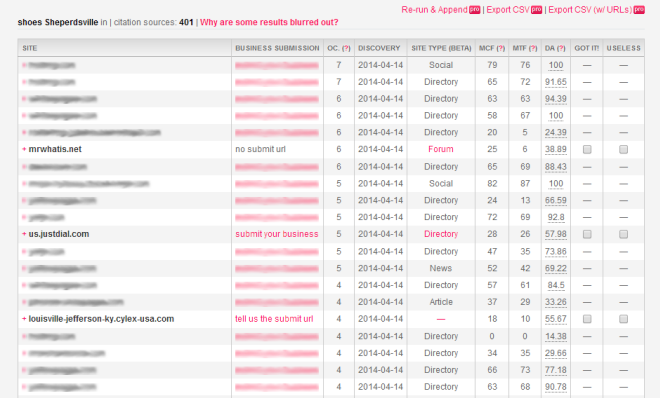 A lot has changed since I wrote free keyword research tools. The major change being the loss of free Google's Adword keyword tool. 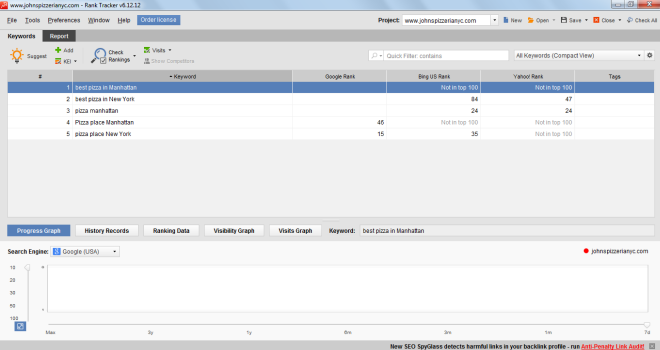 But if you do own a Google Adwords account you can access Google Keyword Planner tool. I have chosen to list the Advanced Web Ranking tool for researching both generic and local keywords for your site since it accumulates data from Google Adwords, Google Webmaster API, Google Suggest, Word Tracker, Yahoo API, Google Suggest and a few others. It has a simple and easy-to-understand interface. Moz.com acquired and relaunched this cool local citation finder tool that was originally and popularly known as GetListed. Now, the tool is more than just a citation finder tool. 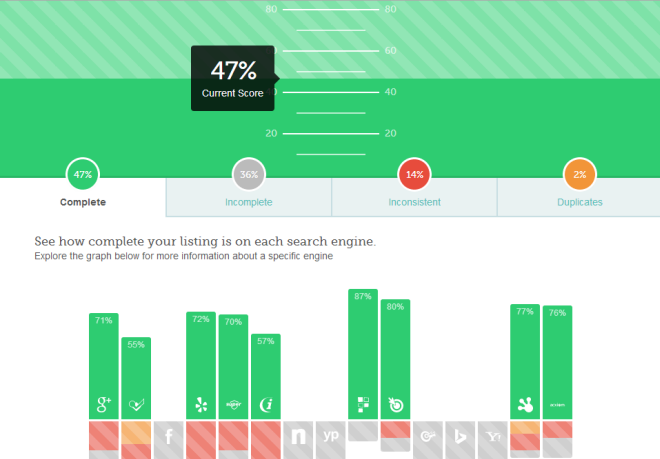 It offers you a listing score (as shown in the above screenshot), a profile completion percentage on each search engine, your latest online reviews, your incomplete profiles and duplicates found on the web, if any. It offers you a CSV template that helps you manage and upload your listings with their partner sites (You can also use your Google Places CSV, if you have one). And if you have any listings that need FourSquare authentication, it shows you that information as well. The only drawback with this tool is that it currently only works for local businesses located in the United States of America. Taking into account some of the top Google Maps ranking factors, this tool was created for local businesses. 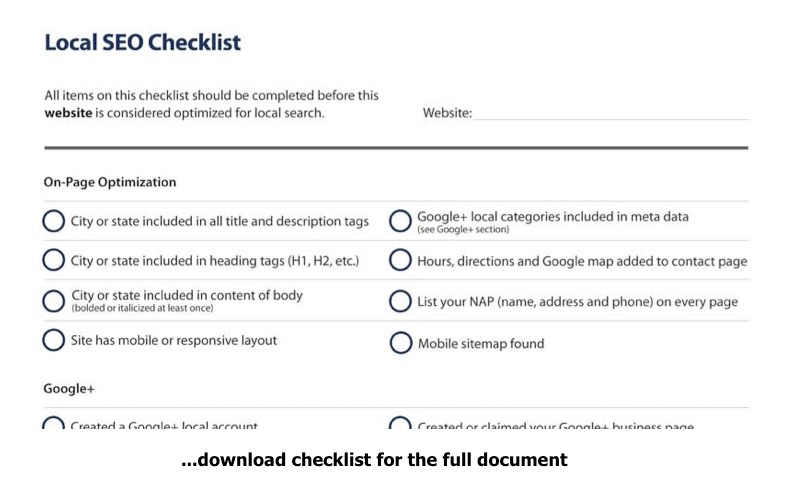 Although the checklist is handy, they also offer a free audit. It gives you a quick summary of how optimized your Google+ local listings are for your business, the elements on your website that are optimized and not optimized for local SEO, a citation count along with duplicate citation information and a link count to your site. It also gives you competitor information and compares your stats with that of your local competitors. This tool is limited to US local businesses only. 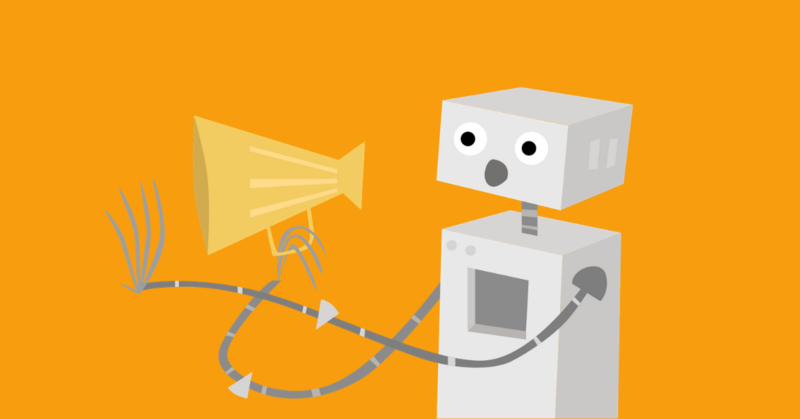 The Schema App Authoring and Editing tools were designed to help Content Creators, SEO Specialist, Marketers and Digital Strategists adopt semantic search marketing without requiring them to be an expert in schema.org or know how to code. The Schema App Authoring tool is can be used to optimize websites by inputing required fields, validating that inputs meet Google and Schema.org standards, generate JSON-LD, and automatically deploy it to the website using one of the Schema App Integrations. Cost: Free for up to one user. As a local business, you are bound to receive online reviews and feedback from your customers, either on third party review sites or your site's Google+ brand page. 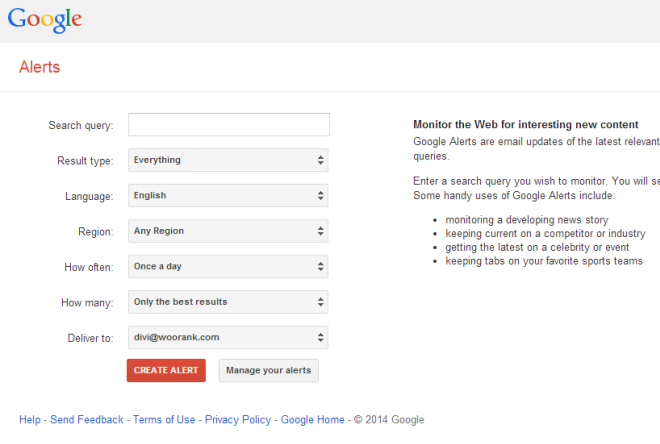 To get alerts from every brand mention that occurs on these review sites, you can setup a Google Alert like this "keyword" site:xyz.com. For example, if you want to know who is talking about your online retail brand Zappos on Yelp, you can set a Google Alert for "Zappos" site:Yelp.com. 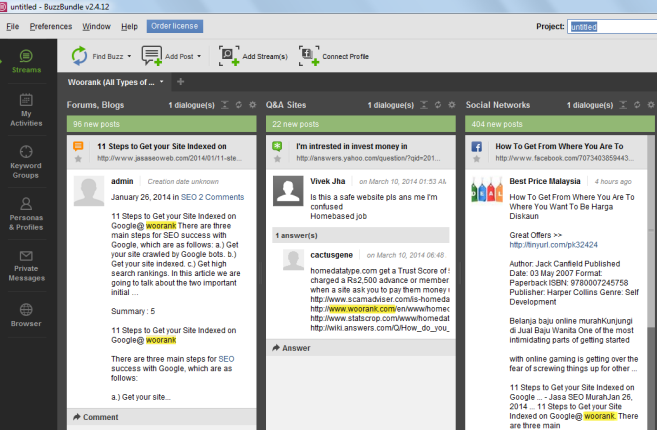 Shown below is a screenshot BuzzBundle showing brand mentions of WooRank (highlighted in yellow) in forum, blogs, Q and A sites, social networks and video sites. Download the tool for free, from the same host that provides BuzzBundle (mentioned above). This rank tracking tool gives you a free report on ranking positions for various local target keywords on search engines. Cost: $29.95 per month per location. 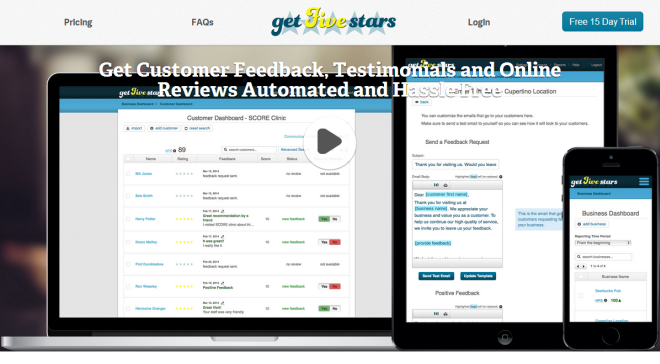 In a previous post, we have discussed how to get online reviews and now you have access to the tool used to get these reviews in the most user-friendly ways. This tool is useful for local e-commerce businesses or local restaurants and other people-oriented businesses that will profit from positive reviews. Even if there are negative reviews you can manage them effectively and by hosting them on your own site you can avoid negative reputation from reaching third-party review sites (assuming the complaints are solved on time). 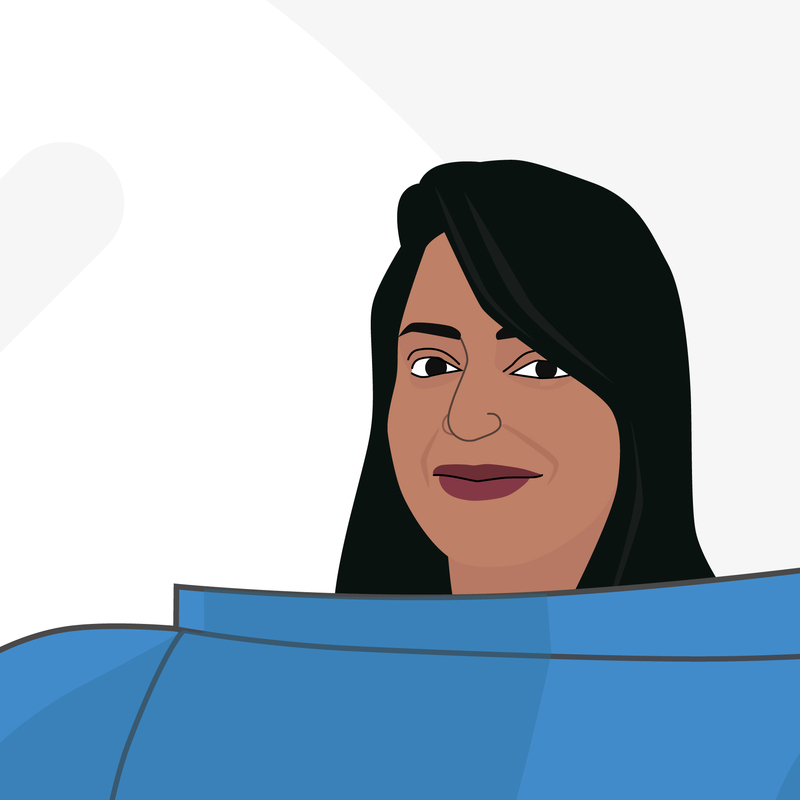 This tool gives you a system where you can ask your customer for feedback, monitor the reviews, embed them as testimonials on your site with Google-friendly search snippets and manage multiple businesses and locations as you expand. 9. Local SEO for WordPress Plugin. If you have a WordPress website this is a great plugin to ensure your site ranks highly in local searches. 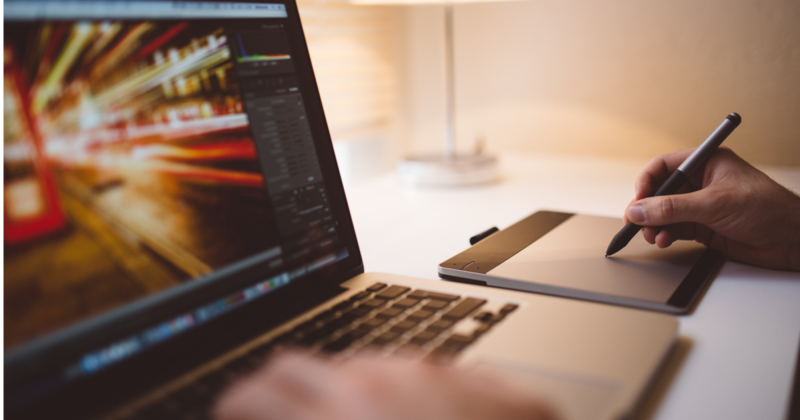 Above that, it largely improves the usability of the contact page of your website. Using the plugin you can insert Google Maps, insert addresses for your company (with technical mark-up for search engines). You can even include opening hours and a store locator. It is advisable to check, claim and add your own business listing on popular and relevant business listing sites, some businesses may find it time-consuming or may not have enough manpower to look after it. In such cases, you can invest in tools that will do the job for you. Advice local is one such tool. In fact, it is a comprehensive suite of tools for your local SEO. They offer tools and services from building citations to checking reviews and it is all managed through one central dashboard. They will even give you a free demo! These were the ten local SEO tools along with their worthy alternatives that will help you achieve your local SEO goals faster. 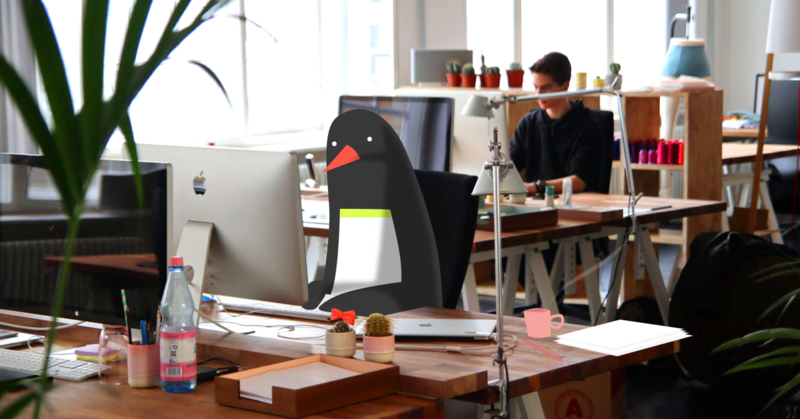 However, if you do depend on a local SEO tool for a certain task related to your local business, make sure you manually check all the tasks done. Manual intervention will assure accuracy to your local SEO efforts. Do you use a local SEO tool for local business marketing? How many tools do you use and what are they?